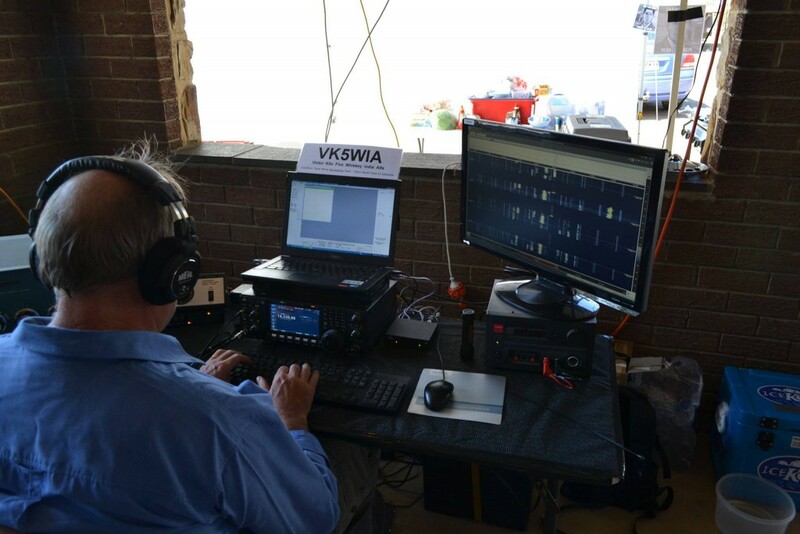 Thanks must also go to the Wireless Institute of Australia who granted access to the state WIA callsign VK5WIA for the event. It was great to unite all three clubs under the state banner. We now look forward to submitting our logs and seeing how we went. A big thank you to the contest “master”, Andrew VK5AKH, who rallied all of the equipment and man power from many sources across both clubs into a cohesive station, along with help from many others. Thanks also to all of the band captains, operators, support crew and catering crew for making the event special. A special thanks also to the rangers from the Parra Wirra Recreation Park who gave us special permission to remain in the park after hours to operate the station. Finally, here are some more images from VK5WIA. We have created a photo gallery of the event on the AREG website. Check it out here! Grant VK5GR has also created one last time lapse sequence to inspire us for next year! If you worked us more than 5 times, please make sure you also submit a log to the contest manager. This is a new rule for this year and it will help verify our repeat contacts.